A long walk, phone catch-ups with two friends, soup and bread made, election win for National’s Dan Bidois and rugby win for the All Blacks – tonight I’m grateful for a happy Saturday at home. 8:50 – A win for Dan Bidois, 13,82 votes ahead with 100% of the votes counted. (And after a shakey start, All Blacks are ahead 25-11 in the test against France). 8:20 – 84.8% of votes counted, Dan Bidois is leading by 1,282. 8:10 – 75 % of votes counted, Dan Bidois ahead by 1,071. 8pm – Dan Bidois leads by 800 with 54.5% of votes counted. 7:20pm National’s candidate Dan Bidois has a 790 vote lead over Labour’s candidate Shanan Halbert with 48.5% of votes counted. Palpebrous – having heavy, prominent or shaggy eyebrows; prominent superciliary ridges. * That when you enter the supermarket the checkouts are free but when you go to pay all the counters have long queues? * That a woman is willing to share her whole life with her husband but not her wardrobe? * That people who need no introduction get the longest ones? * That shops open 24 hours a day, seven days a week still have locks? * That chocolate fish can’t swim? * That when status seekers finally find status, they start looking for the quo? * That most people can’t tell you their blood type but 99.5% of them can tell you their star sign? * That all the instruments looking for intelligent life and pointed away from earth? 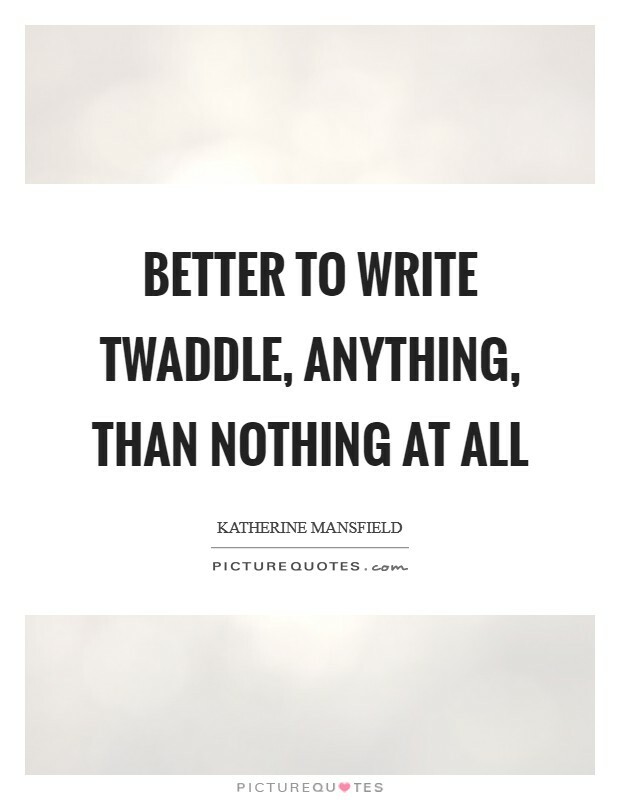 Better to write twaddle, anything, than nothing at all – Katherine Mansfield. 1836 – Elizabeth Garrett Anderson, English physician and politician, was born (d. 1917). 1843 – Bertha von Suttner, Austrian journalist and author, Nobel Prizelaureate, was born (d. 1914). 1868 – Titokowaru’s war began with the killing of three settlers near Ketemarae, north of Hāwera, by Ngā Ruahine warriors acting on the orders of the spiritual leader Titokowaru. 1909 – Prime Minister Sir Joseph Ward opened the Public Trust Office Building in Lambton Quay, Wellington. 2008 – Two bombs exploded at a train station near Algiers, Algeria, killing at least 13 people. 2009 – An explosion killed 17 people and injures at least 46 at a hotel inPeshawar, Pakistan. 2010 – At least 40 people were killed and more than 70 others wounded by an explosion at an evening wedding party in Arghandab, Kandahar. 2015 – The Southern Front of the Free Syrian Army claimed to have captured a major Syrian Army base known as Brigade 52 in Daraa Governorate. You are currently browsing the Homepaddock blog archives for the day Saturday, June 9th, 2018.